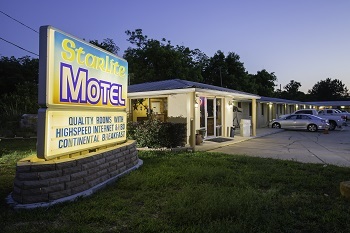 The recently remodeled Starlite Motel offers modern comfortable rooms with conveniences to make your stay enjoyable. Rooms include data ports, refrigerators, and microwaves. A restaurant is located within walking distance. 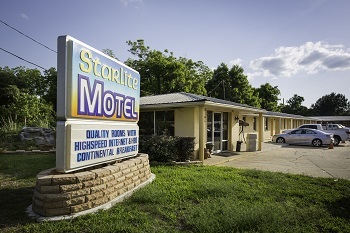 Starlite Motel is located in the city limits of Many, two miles from the business district, court house, library, and one mile from the Sabine Medical Center. Outdoor battery connections available for additional charge. Lodging details: Phones, refrigerators, and microwaves in rooms, Internet with wireless connections, restaurant across the street, outdoor battery charger, a Continental Breakfast is available in the lobby.